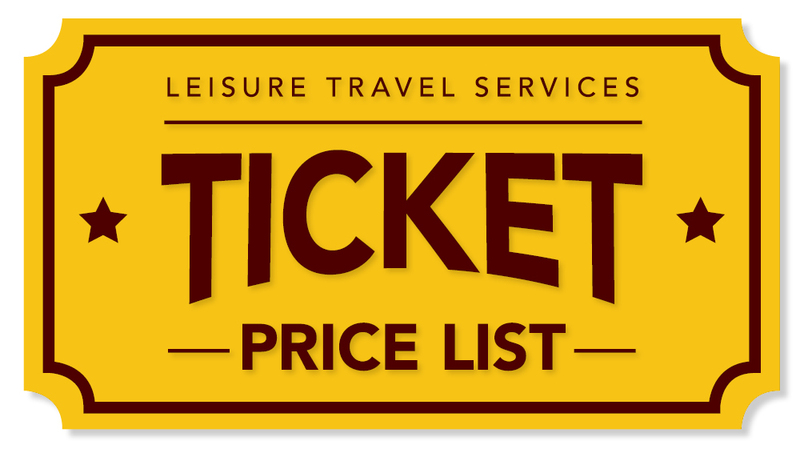 Click here for a full list of all prices at Stewart-Hunter Leisure Travel Services (LTS)! Note: Amusement venues can change prices over night. We constistently check to ensure our price list is accurate, however please confirm prices with LTS.